You can read all about this project here and find the tutorial here, but here’s the Reader’s Digest Condensed version: My Grandparent’s home stayed in our family after they passed away, so when my uncle decided to renovate it he gave me a bunch of the old wooden trim from around the doors and windows. I even scored the kitchen door threshold, which holds decades of dusty memories and family history within it’s grooves. I needed a way to preserve this cherished wood and display it in my own home today, so I came up with this unique photo “frame” idea. This is one of the most special projects I’ve ever created, and it will always hold a special place in my DIY loving heart. Then there’s this one. This one has been a super popular one over the years, and is still going strong. Can’t beat a Pottery Barn knockoff. 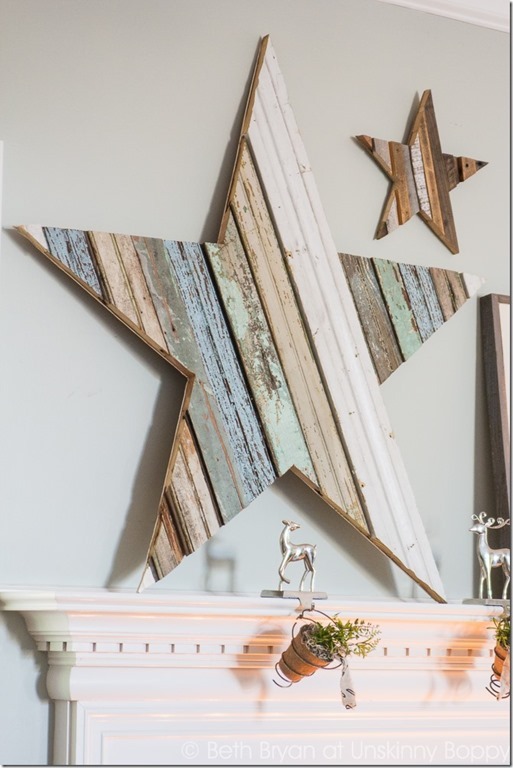 Then there was that time we glued and sawed a bunch of chippy blue and green wood together to make this giant wooden star for my mantel. THAT shot straight to the top of my favorite DIY project for a long time. I’m telling y’all… I have too many favorites to pick just one. 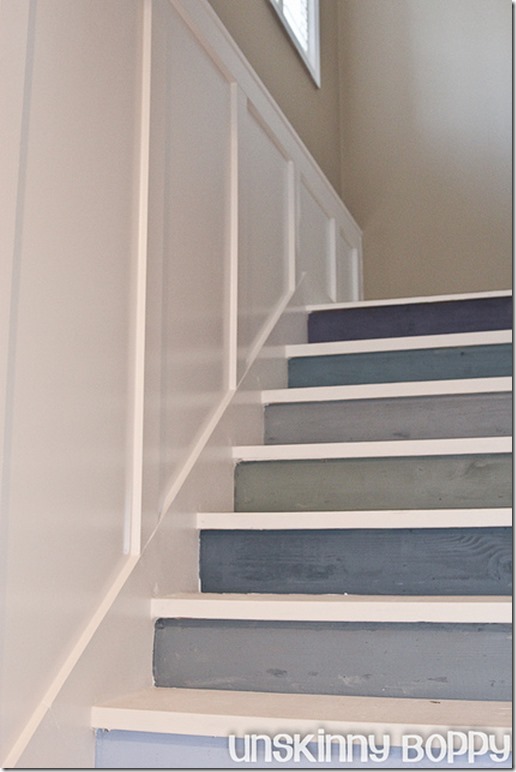 So, I’ll let you decide for yourself by checking out my DIY Projects page! 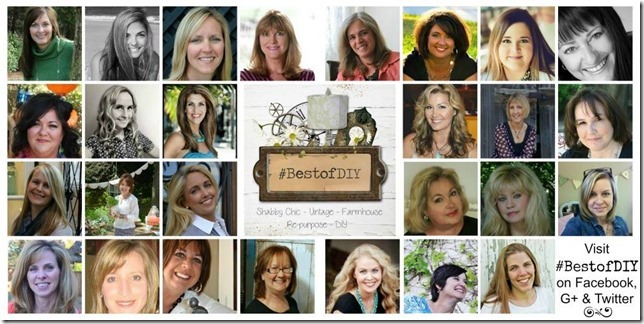 Did you know I have all of my DIY project categorized up top in a handy-dandy Project Hall of Fame listing? I try to make it easy for y’all to navigate around here. Hopefully I succeed some days. 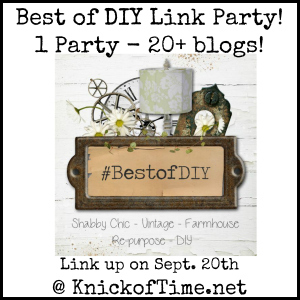 Now that I’ve shared mine, it’s time for you to share your own DIY projects with me and 20+ of my blogging friends in this HUGE Best of DIY link party. 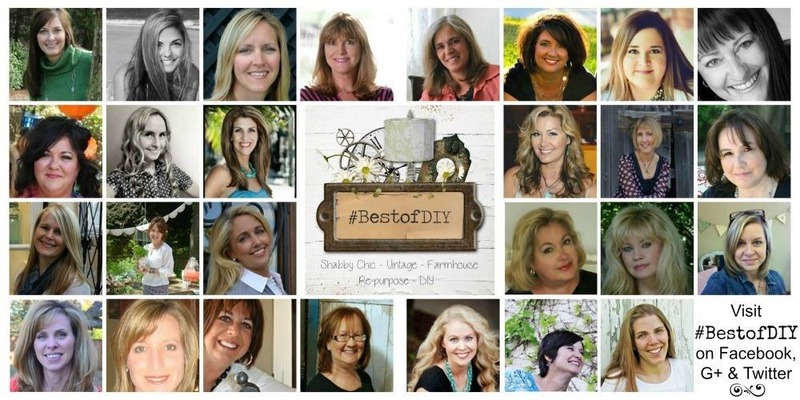 You can find the joint party on these bloggers pages and head over to read about their best DIY projects, too! 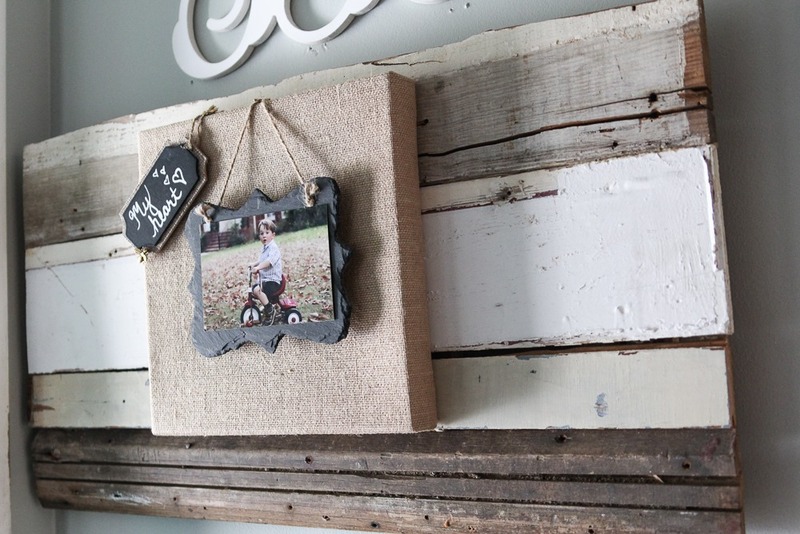 You can also find tons of great inspiration photos over on our joint Best of DIY Pinterest page! Be sure to give it a follow. If you like my projects, I’d love for you to follow me on Pinterest as well. Ok, are you ready to share your stuff? It’s time to link them up! I cannot wait to see what all DIY projects you guys have been working on lately, so share away! Please limit it to THREE DIY projects per person. Happy DIYing, y’all! I think the wood star is my favorite! Love it! You’re right! They’re so too many to choose Just One Favorite. 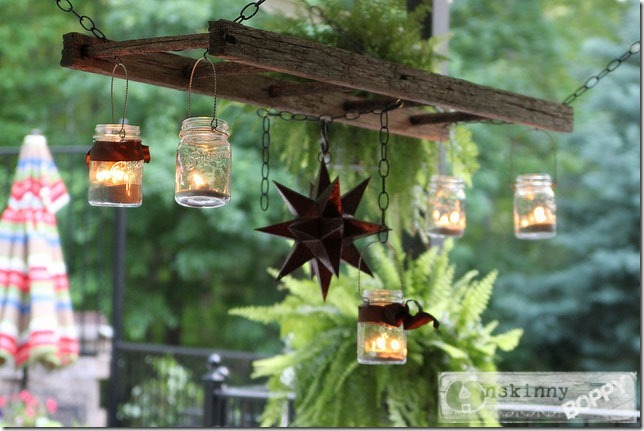 Love your DIY style! Love your artistic frame idea!Not only is it cool but the sentiment behind it too! All of your creativity inspires me! Thrilled to be a party of this awesome party with you! Shared on FB and google+ too. I love all of your DIYs, Beth, and can’t possibly pick a favorite! Your projects are always awesome. 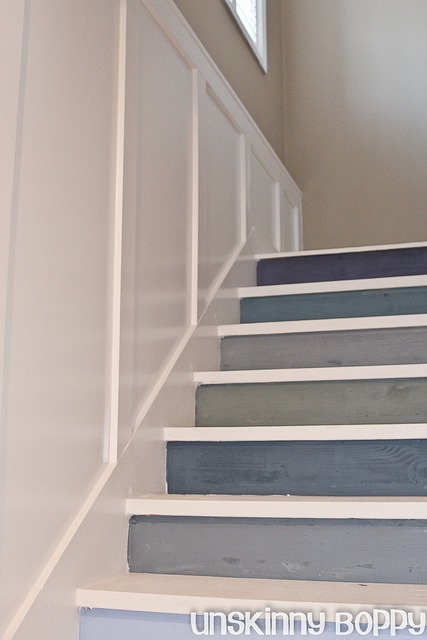 I especially love that old ladder project. Thanks for the great ideas!